If Blue Monday made you decide it's time to think about changing jobs or perhaps striking out on your own. Today's announcement is for you! 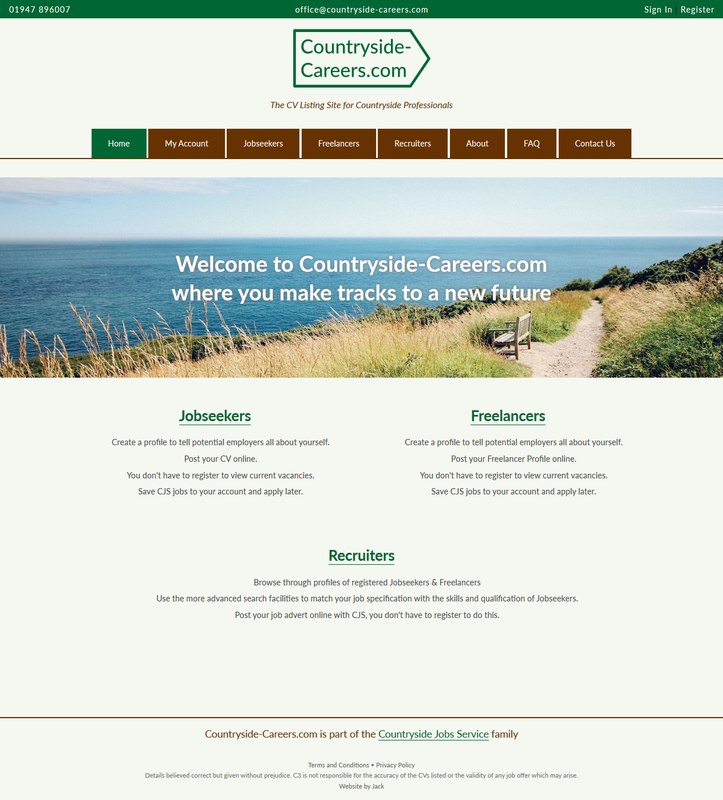 CJS is pleased to say that (at last) Countryside-Careers.Com our CV listing site is live. It's been updated, streamlined and now has a section for Freelancers to showcase their talents and advertise their availability. And for recruiters there is an improved search facility allowing you to filter candidates by skills, qualifications, location, type of work sought or just to browse through the profiles. It's not a recruitment agency it's more like a Jobs Wanted page - but for the internet. Candidates and Freelancers build a profile, indicate what they're looking for in terms of job type, location etc. and finally have the option to upload a full CV. All of these details are searchable by potential employers who can then contact the jobseekers. You have a choice of either letting employers registered with the site see your contact details or getting their details sent to you for you to contact them. As ever with CJS projects it's all free although in the future that might change for employers and recruiters. Your information is safe too, the website is on a secure server (look for the little green padlock in the address bar) and is covered by our Data Protection policies which are GDPR compliant and contact details can only be seen or requested by employers registered on the site. Have a look here and then brush up your CV (a nice article on applications and interview skills is here.) upload your details, cross your fingers and wait for your perfect job to land in your in box! Important Reminder: you should never be asked for money to get a job or in the possibility of employment.